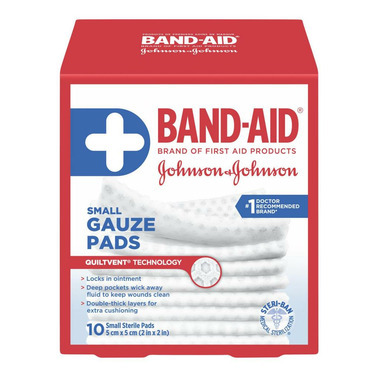 Band-Aid Gauze Pads with Quiltvent Technology help lock in ointment. Deep pockets wick away fluid to keep wounds clean. Double-think layers for extra cushioning. 5 cm x 5 cm each.